There is a very good reason why we all need to meditate and it's no surprise that nearly all successful people and high achievers practice the art of meditation every morning. The successful have already learned about the huge positive benefits that you can get from practicing meditation, some even spend around twenty minutes twice a day. Nearly all successful and wealthy people know how important it is to set themselves up for the day ahead. Success rarely happens by chance, and they are aware of the need to put themselves in the right positive and relaxed state so they perform and function at their peak performance best, as well as helping them to release any negative emotional baggage from the previous day. The world would be a much better place and everybody's health and emotional well-being would benefit if everybody would only put aside around twenty minutes a day to deeply relax and let go of all their stresses and tension. People are dogged by negative thoughts, worry and stress. Negative thoughts not only make you feel bad, they are also toxic and they will affect you, your body and your life in many different negative and unproductive ways, including your health, your well-being and how you physically feel and perform. Many people still see meditation as a bit new age thing that they associate as something that people who are kind of weird or what very spiritual people do. But now the jokes flipped around as those who meditate, feel better, are more in control, more productive, happier, generally healthier, and the biggest benefit of all is, it can add years onto your life expectancy. Relaxation is not a luxury, it is something that is essential, if you want to experience better health and well-being. For others who do give it a try, they do not have the time, patients or the dedication that is needed to reach the required levels where the big changes and positive benefits happen. But if you think that medication is to spiritual or too way out, then it might be time that you reconsidered, because the medical establishment and the scientists are now in agreement with what the ancient guru's have been telling us for years that meditation is a safe and effective treatment that provides many health, emotional and life improving benefits. It is now well documented that, happiness and those calm feelings come before success, opening up your creativity and getting the things and life that you want, and not the other way around. So if you want to get from where you are in life at the moment, to where you want to be at, work on your happiness and emotions first. Throughout our life we pick up many bad habits, behaviours, negative thinking patterns and limiting beliefs and on top of all that we accumulate a multitude of bad and negative life experience which all go towards creating negative and unhelpful neural connections which influence and control our emotional responses, behaviours and moods. Add on top of that all our worries and problems, is it any wonder that most people experience the same old tiresome negative emotions, thought patterns and prolonged periods of stress day in day out all of which are taking a toll on your health and quality of life. You're not meant to live your life imprisoned in a battle in your own mind, you're not meant to be stuck in a self destructive mindset, and you need to replace those old tiresome and emotionally charged scenes that flash through your imagination that only ever depict "the worst case scenario". You're not meant to struggle through life experiencing emotional pain, confusion and self torment and you can, you know free yourself from the grip of your mental conditioning and your negative past. These negative and stressful states almost become a normal part of many people's day, which blocks off all their creativity and their skill and talents, not to mention making their life a constant misery and struggle, some have even forgotten what it's like to feel happy and be at peace. Constant worry and negative thinking will also drain you of all your energy, demotivate you, and disempower you, keeping you locked in a narrow focus of attention and stuck in that fear dominated survival mode. But it does not have to be like this, because meditation is a great way of helping you to calm that ever worrying and racing mind and reduce your stress, allowing you to break free from all those bad feeling states and emotions, leaving you feeling fresh, empowered and full of optimism and life. We all know that our mind is a very powerful instrument and we all have an abundance of talents and capabilities, and regardless of what you've been told or even what you've convinced yourself, there is nothing wrong with you, and there is nothing at all that needs fixing. All that you have to do to start tapping into your limitless talents and abilities is to learn how to access and stay in the right frequency state. This does not mean that you don't have to learn and practice as well as developing your skill levels, but what it does mean is once you escape from the negative self destructive thinking patterns and you release all those creative blockages such as stress, worry and fear, then you will be free to access and unleash your real true potential. One of the best ways to access your true creative talents and potential and to be able to start to create your ideal life, is to learn how to meditate and get into that free flowing calm state where it all happens. You can only experience your natural true state of joy, inner peace and balance when you're living your life in the power of the present moment, sadly far too many people are stuck in the pain of the past or they are terrified of the future. The trouble is, when it comes to meditation, people have been struggling for decades to access the levels they need to make those life changing improvements. Many of us just can’t seem to shake off all mental chatter and switch over to those all important calm and positive life changing emotions. What usually happens is we, either fall asleep or we get restless and give up, or we cannot seem to find the time to practice and master this skill that will improve our chances of success, good health and obtain the right peaceful states that will sky rocket our creativity. Many studies have shown that meditation relaxes your muscles, calms your body and declutter's your mind. The result you will start to achieve from daily meditations can be life changing. After a while your stress and anxiety levels will drop until you reach a point where those normal stresses and worries not longer seem significant to you and you will find it easier to cope with and deal with life's challenges. After a while you will start to get all your energy back, this will make you more motivated to start and accomplish your goals and live your life on your terms. With regular meditation you will find you fall asleep easier, you will have more pleasant dreams and you will get a more refreshing, rejuvenating and higher quality of deep, restful and restorative sleep. Leaving you feeling more alive and alert. The latest health reports are suggesting that a lack of sleep can be the cause for your low or poor mood, but they now go further and they believe that a lack of sleep can be responsible for some health related issues and problems. They claim that a lack of quality sleep can even contribute to some of the more serious physical conditions and in some cases it may even shorten your life expectancy. Things that prevent people from getting the right amount of quality sleep, which is recommended at around seven to eight hours a night are. Not getting to bed early enough, insomnia or poor quality unbroken sleep. When we are experiencing negative emotions such as anxiety, stress and worry then this can prevent you from falling to sleep. Negative thinking and stress, will interrupt your natural unwinding down process, but if that wasn't bad enough, you will also have more restless poor quality sleep and bad dreams. Meditating or just listening to meditation music will help you to quieten down your racing mind and relax your body, basically it will mimic your natural falling to sleep process, giving you a better quality sleep and leaving you feel refreshed, fully restored and ready for the day and tasks ahead. Meditation will help you to increase your creativity, allowing you to be able to tap into new ideas and create new exciting possibilities, and regular meditation will keep that creativity and those new idea's flowing. Meditation will allow you to align up and connect your thoughts and wants with both your conscious and subconscious mind, and because meditation will keep you in the present moment you will find that you're able to extract and receive information, idea's and opportunities that you cannot access when you're feeling stressed and negative. Meditation when used regularly will improve your mental faculties and your mental abilities, your short term memory will improve, as will your memory retention, your focus and concentration will get better and you will be more connected to your intuition. As your thought patterns start to become more general and positive to match your better feeling mood, then bit by bit you will start to view you and the world differently. In these good feeling states your learning capacity will accelerate. There have been thousands of studies conducted that have confirmed the fact that meditation is a powerful tool that can help to improve your health in many ways, and your emotional well-being. Regular meditation decreases inflammation, improves immune function, decreases pain, and some experts suggest the it can adds grey matter to your brain, especially in depressed people. Meditation can help you to master your emotions, giving you greater self control over how you feel and how you react and how you allow outside influences and every stresses to affect you. It will also help you to stay in the present moment. Many of people's bad habits, behaviours, over indulging and even addictions are ways of coping and dealing with their stress, anxiety and other negative emotions. If you meditate regularly then you will soon be experiencing less of those unhealthy negative emotions which will leave you more calmer, positive and more easily able to cope and handle everyday challenges. When you are in that negativity and fearful state of worry and negative thinking we put ourselves in the energy of problems. When, you are experiencing negative feelings, your mindset will be more negative and your mind will start to blow everything out of proportion where you begin to make mountains out of molehills. This is what negative thinking does, it keeps us focused on worrying and stuck focusing on our problems, preventing you from analyzing and searching for a solution. But once you calm your mind and body, you will function better, you will be at your peak performance levels, and you will enter into the flow state where all the answers and solutions will come to you. Mediation music and binaural beats has now given anybody the chance to reach deep levels of meditation in a short period of time. So now you can quickly tap into your creativity, increase your performance levels and most importantly, experience inner bliss and emotional balance, harmony and well-being. There is no magical secret to unlocking your true potential and improve your skills, we are all equal and we all have so much untapped talent and creative ability than most people even realize. You are not lacking the ability, all you need to do is, enter the relaxed state where you can easily tap into your true inner potential and now the latest scientific research is revealing how you can learn to extract your true capabilities. With this latest scientific research combined with the latest technology in brain improvements, you can now drastically cut down the time it used to take to get the most out of your all powerful and all knowing mind. Making those positive life changes is all about getting your brain and your body into the right states, where you can then access your true potential and tap into your creativity and intelligence or being able to enter those flow like peaceful states where your brain becomes open to change. Our mind responds to feelings, memory's and emotions. All our past experiences and conditioning is stored inside of our mind, just like the hard drive on a computer. All this data, including our beliefs, perceptions and learning are what our mind uses to help shape our world, our action, our behaviours, our decisions, our thought patterns and what we do and become. These are sometimes described as our paradigms which control who and what we are including our skill levels and successes. Throughout our lives, our brain is forever taking in data and collecting information from our emotional experiences and our society conditioning. All our conditioning forms our belief systems and our habits, and our beliefs and habits virtually control and dictate all our thinking processes and all our, decisions actions and behaviours which become automatic responses and behaviours. Nearly everybody has heard about the effect of meditation on our overall wellbeing and health, but now science is in agreement with the ancient gurus that meditation can directly influence your brainwaves thus helping to shift you out of the negative states and into the calm feeling emotions. The brain and body has a range of different energy frequencies known as brainwaves. These are split up into four groups which are known as. Beta, alpha, theta and delta. Beta waves are what most people experience during their waking state, in this range you can get feelings of a heightened state of alertness, feeling active, to anxiety and stress. The alpha brainwaves are what we associate with relaxation, like the frequencies you experience just before you fall asleep and your about to drift off into a dream like state. Theta is the deeply relaxed frequencies that the Zen Monks achieve through meditation, a bit like the brainwaves that you would experience if you're in your normal sleep state. The Delta frequency is the most relaxed of the frequencies. This is what you would experience in deep, dreamless sleep and in a very deep or the detached state of relaxation, up until now this is what only the very experienced and advanced meditation experts can reach. Delta is the realm of your subconscious mind which has been described as the deepest possible level of relaxation, and the doorway and connection to the universal mind and intelligence. This is the state, where information and creativity can be accessed of which you cannot obtain at a normal everyday conscious level. The delta brainwaves are very rarely accessed when a person is awake, but this highly creative state of being can be achieved and reached through meditation. Most people spend their day trying to master their emotions so they can experience inner peace and emotional freedom. Many will try positive thinking to try and change their state, however, it is a lot easier to change and become a master of your own thoughts and feelings by meditating regularly. With regular relaxation combined with mindfulness throughout your day so you learn to be self aware of the thoughts and emotions that make you feel bad, so you can quickly change them or ignore them, you can soon become the master of your own feeling's and emotions. 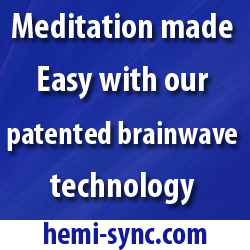 You can now suddenly experience the amazing of years of meditation music–without any of the effort on your behalf. Normal every day people like you, thanks to the latest advancement in medication music and binaural beats are quickly able to reach deep levels of meditation, which up until now were only achievable by the likes of experienced Zen monks who had been practicing the art of meditation for years. Thanks to the advancement of modern day technology. You can now, very quickly reach a deepened state of relaxation, which once took years of practice in a very quick time. In these deep states of relaxation you will allow to experience those good feeling emotions as it will promote the release of those good feelings and calming endorphins as well as helping you to unlock your real inner powers and potential. Once you're able to reach these deeply relaxed states of altered awareness you will be able to, gain insights into the whole Universe, increase your IQ, expand your mind and understanding as well as, taking huge leaps in your self development and personal growth if you choose to.